The following editorial appeared in Newsday. We all know that Long Island has a nitrogen problem. The evidence builds each year. It’s the algal blooms in our bays and lakes, the rotting smell of dead fish, the summer days when beaches are closed to bathers, the vanishing shellfish we no longer can harvest, and the lost marshes and wetlands that could buffer the region from ever-stronger storms. 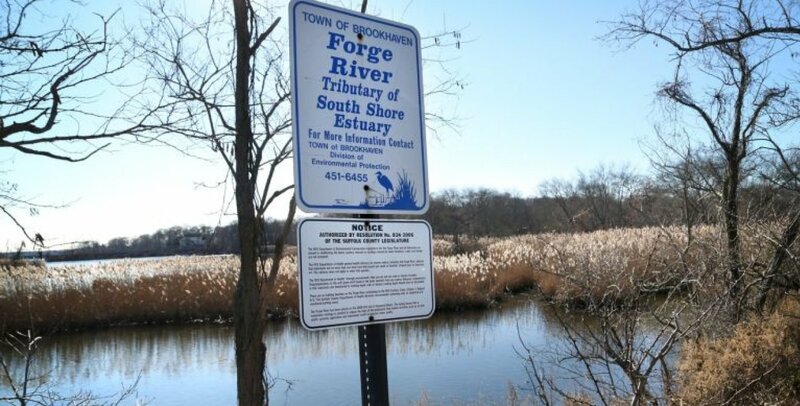 Now Suffolk County is ready to launch its biggest and most promising attack yet against this invader, focused on the residential septic systems and cesspools responsible for two-thirds of nitrogen pollution. The county is holding three public referendums Tuesday for communities in Babylon, Islip and Brookhaven towns that would lead to nearly 7,000 properties being hooked up to sewers, the largest expansion on Long Island in decades. It’s funded by $388 million in federal and state grants; homeowners affected would pay no construction costs. The number of people eligible to vote is small, about 8,000. But the payoff is immense for all of Long Island. And the deal for those who would connect to sewers is terrific. One referendum would create a new sewer district with a new treatment plant in Mastic and Shirley, around the Forge River. Two other referendums would expand the Southwest Sewer District — in West Babylon, North Babylon and Wyandanch around the Carlls River, and in Great River beside the Connetquot River. As a bonus, nearly 1,500 homes already in the Southwest Sewer District whose owners have chosen not to be connected would be hooked up, and 513 homes in Patchogue would be added to sewers there. For homeowners eligible to vote, this is a rare opportunity. All capital costs would be covered, as well as the cost of dismantling old cesspools. Homeowners would pay only the annual costs paid by current sewer district residents, from $470 to $755. If the projects don’t move forward, the grant money, much of it given in the wake of superstorm Sandy, will be gone. And with it, any chance of another deal like this one. Many people in these areas pump out cesspools two or three times a year. Some have a water table so high they need to check a water gauge before they do their laundry. All of that drags down a home’s value — a serious problem that sewers could rectify. With 360,000 homes in Suffolk not connected to sewers, this project might seem like a small dent in a big problem. But it’s not. In all, nearly 250,000 pounds of nitrogen would be removed yearly from rivers leading to the Great South Bay — including, for example, a 14 percent reduction in the Forge River, the most polluted river in Suffolk. The referendums also would set up more progress. The expansions of the Southwest Sewer District would enable future connections into Deer Park, Oakdale and Sayville. A new district in Mastic-Shirley eventually would allow 10,500 parcels in that area to be put on sewers. Last summer, Long Island experienced the worst rust tide algae blooms in its history. It also found that the open waters of Long Island Sound are cleaner than they’ve been in years, thanks to a concerted effort to upgrade sewage treatment plants that dump into the Sound.